We were hoping to go back to Nevellan this week to interview Bob Peel but he rang to say he didn’t want to talk because he didn’t run the property according to Yeomans’ original principles and so he didn’t really have anything to say. It was disappointing because we wanted to discuss in more detail the reasons he didn’t follow Yeomans’ principles given the design of the property – he had said earlier that it was too labour intensive. But his reticence is understandable because the property is a bit under siege in many ways, completely surrounded by the big block version of suburbia and his brother’s property Yobarnie, the other original Yeomans’ property, has just been the subject of a controversial development application for an aged care facility as Lucas wrote. Development applications raise another of the almost infinite number of issues that now surround Yeomans and in this case it is the issue of development versus heritage. Given my earlier interest in Yeomans I was shocked in 2009 when I first heard about the plans for redeveloping Yobarnie, it seemed impossible that it would not be listed on the local council’s Local Environment Plan (LEP) list of heritage properties. 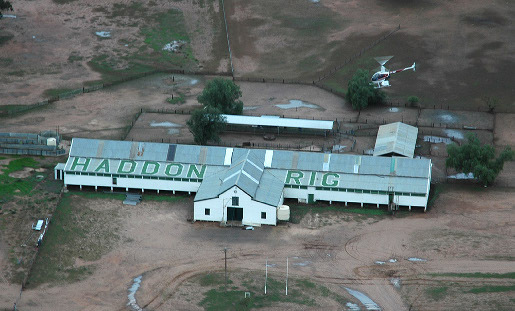 Heritage items are characterised as either local, state or national significance with a clearly defined range of criteria for each ranking and it is arguable that Yobarnie/Nevallan is of national significance, not just local significance, and would easily make it into the top ten historical agricultural properties in Australia. now being encroached on by Canberra suburbia, where Farrer’s wheat breeding experiments produced the first rust free wheat. These properties are among the most important European heritage sites in the country but farm landscapes notoriously are less well protected or even understood as important heritage sites. When I contacted Prof Stuart Hill in 2009 about my interest in the sites among the documents he sent me was this excerpt from the minutes of the meeting of the NSW State Heritage Council, the body charged with advising the minister for Planning on heritage issues. The members received a report from the Heritage Branch requesting advice on how it wishes to proceed on matters concerning the significance and conservation of PA Yeomans’ original Keyline system found on two properties in North Richmond known as “Yobarnie” and “Nevallan”. The members were advised that a portion of the property, “Yobarnie”, in Hawkesbury LGA, is currently the subject of a Development Application (D A) for a seniors living village and nursing home. A heritage assessment lodged with the DA was referred for Heritage Branch comment by Hawkesbury City Council seeking the Branch’s view of the property’s heritage significance. The proponent envisages application for release and rezoning of the remainder of the property for residential development at a future date. It was on the Yobarnie property that Percival (P.A.) Yeomans, a retired mining engineer, first developed the “Keyline” system of soil improvement, erosion control, water storage, cultivation and irrigation on undulating topography, which was subsequently adopted by farmers in almost every country in the world. The site has a system of dams, channels and contours which were utilised to capture and manage the water on the site. The system was developed at a time when soil erosion was a major issue across Australia. The Heritage Branch has received representations requesting urgent protection of the entire Yobarnie property on heritage grounds following the advertisement of the Development Application. The members received a presentation on the site and the development proposal by Mark Regent the Project Manager, Buildev Group, Stephen Davies and Stephanie Barker of Urbis, Heritage Consultants for the owner. Also in attendance were representatives from Hawkesbury City Council, Mr Matt Owens, Director City Planning and Dr Donald Ellsmore, Heritage Advisor who were available to answer questions from the Heritage Council if required. 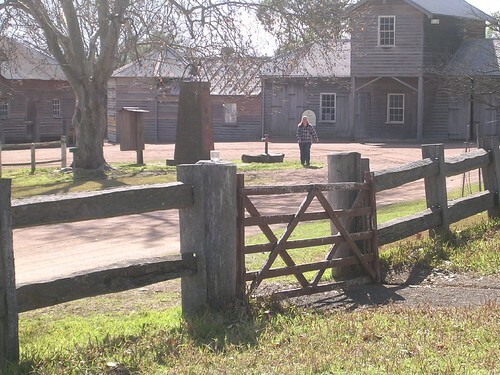 It is agreed that there is historical significance at both Yobarnie and Nevallan sites. The System was developed on both Yobarnie and Nevallan in 1940s – 1950s. Nevallan contains Yeomans home and was the farm visited by the public when it was operational. Only 183 ha is owned by Buildev (approx 70% of the 270ha former holding) not the entire former Yobarnie site. The Yobarnie Keyline system is functionally compromised due to multiple land ownership and interrupted contours and it is believed it can’t be restored to its functional operation. It is believed that the existing dams have safety issues; dam failures in mid 1980’s and 2007. In the case of the Yobarnie Site the Keyline System Contours are interrupted in over 16 locations from physical work and property boundaries. Also the downstream drainage system in existing urban area has deficiencies and that the proposed urban residential development provides opportunity to improve overall drainage in the catchments. They advised that an Interim Heritage Order on the site is premature, believing it is not required as the developer is prepared to work cooperatively with Hawkesbury Council, the Heritage Council and Heritage Branch and other agencies believing that integrated retention and interpretation solutions are achievable. They advised that a Site Suitability Certificate was issued by Department of Planning in March 2008 and that the proposed development for a seniors living proposal is able to retain dam and incorporate contour design features. They believe that residential development provides best opportunity to accommodate interpretation of the site. In conclusion the members were advised by the presenters that there is no ability to consolidate the former landholding and notwithstanding consolidation, the land would still remain economically unviable for agriculture. The land is economically unviable for agriculture with or without the Keyline system and that adaptation in this case requires a non-agricultural use. Any restoration solution would be financially unrealistic and that reinstatement is not achievable, so a heritage outcome would be part conservation and interpretation. The members thanked the presenters for attending and providing the information. The presenters left the meeting. The members discussed the site and agreed that both the Yobarnie and Nevallan are sites of potential State Significance. Concerns were expressed that the significance of the site had not been identified earlier in the process prior to development applications being submitted for approval. It was agreed that without a full assessment, the actual significance could not be fully determined. It was discussed that in the evolution of the Keyline system the site is of possible National significance due to its huge leap in changing the way soil erosion was managed. In its time it was an extremely important site. The members agreed to recommend to the Minister that an Interim Heritage Order be placed on the Yobarnie and Nevallan properties but excluding the area of the current DA application for Seniors Living. The members requested participation of the Heritage Council in discussions on the current and future Development Applications for the sites. The members requested that further research on the significance of the sites to be carried out as outline in the following resolution. 5. requests that a Conservation Management Plan be developed. 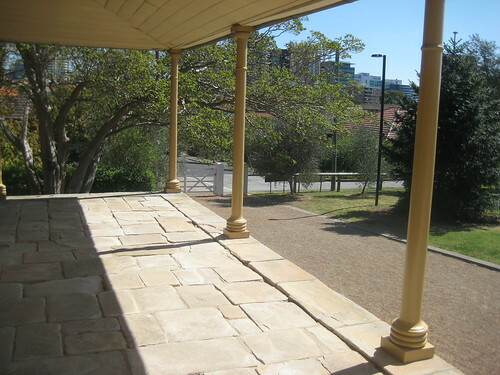 In other words, the NSW State Heritage Council found that both properties (except for the area subject to the aged care facility DA) were of state significance and should be protected by an interim heritage order (which would temporarily prevent subdivision or development) pending further action to list them on the State Heritage Register which would provide permanent protection. But this was in 2009 and when I searched the Register today they weren’t there nor was there any mention of the Minister approving an interim heritage order. Curiouser and curiouser. I’ll follow this up a bit further and see what I can find out. Since the original posted above, the heritage significance of Yobarnie has now been recognised and protected. In March 2013 the NSW Government listed Yobarnie on the NSW State Heritage Register, giving it protection as an item of state significance. The listing protects the remaining parts of the original property (including ten of the twelve original dams) from future redevelopment or subdivision and provides a framework for future restoration work or conservation through some form of adaptive reuse. Historical significance: Yobarnie is the place in which the Keyline system was first developed and demonstrated. This system has since been adopted by farmers in almost every country in the world and is considered to be the precursor of the Permaculture movement. Associative significance: for its association with Percival A Yeomans, inventor of the Keyline system whose achievements were recognised internationally by the Prince Philip Design Award, in 1974, and a nationwide poll conducted by Country Life magazine placed him among the top 3 Australians who had contributed most to Australian agriculture. Aesthetic significance: The distinctive cultural landscape resulting from the Keyline system is itself aesthetically pleasing and offers considerable scope for contributing to the visual and recreational amenity of any future adaptive reuse. Social significance: Yobarnie is held in high esteem by the state’s (and indeed, the country’s) agricultural community, evidenced by a nationwide poll conducted by Country Life magazine that placed PA Yeomans among the top 3 Australians who had contributed most to Australian agriculture. Research potential: Yobarnie shows evidence not found on any other property of Yeomans’ early experiments. Rarity: Yobarnie is unique in preserving evidence of the early experimental stages in the development of that system. 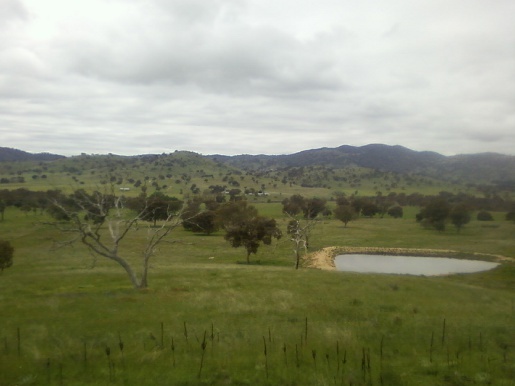 Such evidence of the sustainable transformation of natural landscapes by human agendas is rare in NSW and in Australia. Representativeness: Yobarnie is of state heritage significance for its ability to demonstrate the interaction between topography and poor soil and the Keyline System, which created from this challenging environment the prototype of a viable agricultural landscape now represented worldwide. Integrity/Intactness: Although the Keyline System at Yobarnie has been neglected since 1964, it has continued to operate passively to the extent possible without maintenance and the overall legibility of the system remains good. Overall the listing not only recognises the property but also gives official recognition to the importance of PA Yeomans as an innovator and a figure of major cultural significance. The listing is itself a major achievement for the many Yeomans supporters who worked so hard to bring it about. This entry was posted in Farming, History, Politics, Town Planning and tagged Belgenny Farm, Experiment Farm Cottage, Haddon Rig, Heritage Council, Lambrigg, PA Yeomans. Bookmark the permalink. Post a comment or leave a trackback: Trackback URL. I am the president of the North Richmond And District Community Action Association. The NRDCAA was established because of the concerns of residents on the DA to develop Yobamie. We are still opposed to the proposed development. The NRDCAA would appreciate any assistance or advice you could provide. The NRDCAA has checked with Office of Heritage yesterday and they advised that Nevallan is still on the list for consideration for heritage listing. That is nearly eight years ago! Should we do anything or do you know your way around better than us?